Brad and I head off to Nepal this morning. 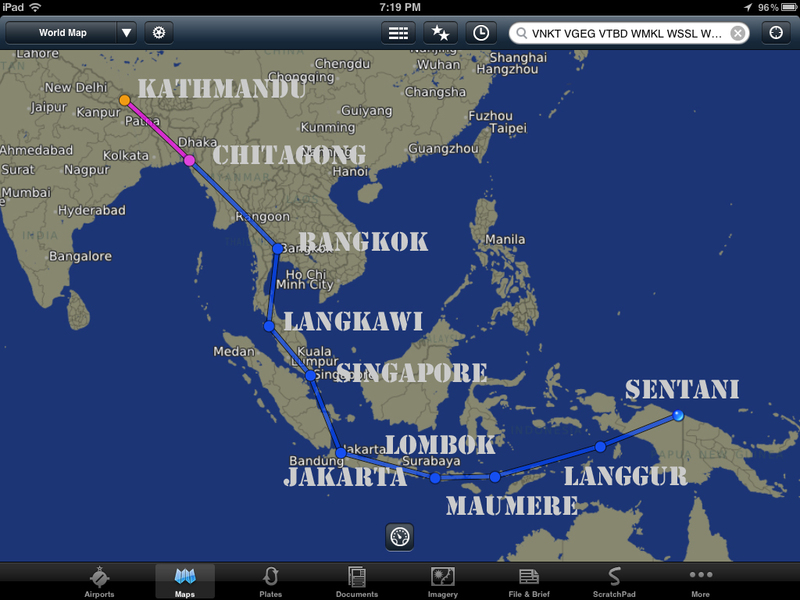 We'll get as far as Singapore tonight and then take the morning flight to Kathmandu and arrive mid-day on Monday. We'll have Monday afternoon and all day Tuesday to get the airplane and paperwork ready before our scheduled departure in PK-UCL on Wednesday morning. We're excited to be on our way and excited to see the things that God does to bring this aircraft to Papua to be part of reaching the isolated peoples of this land. Once we get airborne out of Kathmandu on Wednesday, you'll be able to follow our progress on our Spidertracks page. Really appreciate your prayers: a couple of last minute paperwork issues need to be cleared before we can launch.